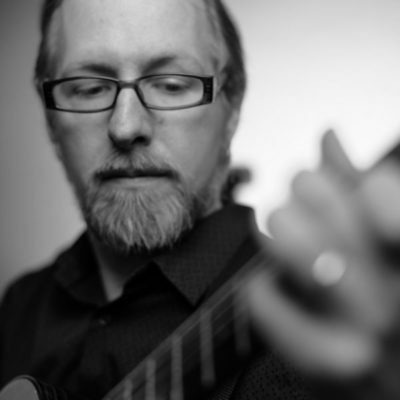 Scott is a guitarist/composer, specializing in fingerpicking style and influenced by Americana, Celtic and East Asian music as well as classical and jazz. In 2018, Scott released a new solo album “Solo Guitar Vol. 1” featuring mostly original guitar compositions, with focus on his work in open tunings and both nylon and steel string guitars. In addition to his solo performances, Scott plays guitar, tambura and percussion for Orkestar Bez Ime (OBI), an award-winning Twin Cities band that specializes in Balkan Dance Music. OBI won the McKnight Fellowship for Musicians in 2011, and the Emerging Composers Award from American Composers Forum in 2012. In 2014, they released a digital EP entitled “Unveiled – Live At The Celtic Junction”, which was sponsored in part by a 2012 Emerging Composers Award from American Composers Forum. Scott also plays guitar and banjitar with The Sweet Colleens, a Celtic group from the Twin Cities influenced by Americana and rock, with Cajun and Caribbean seasonings. He appears on their new album “Ten Mona Lisas”, which is available online now. In addition to his solo and ensemble work, Scott has been involved in numerous theatrical productions. He has been a music director for Brave New Workshop and Idiot Box (sketch comedy), and has worked with Blue Umbrella Productions and Comedy Suitcase Productions. He has appeared onstage for “Ring of Fire: The Life of Johnny Cash” and “Country Roads: A John Denver Tribute”, both at Plymouth Playhouse. He has also been featured in productions with Flying Foot Forum (“Alice in Wonderland”, “Passing Through Pig’s Eye”) and Ethnic Dance Theater (“40th Anniversary Celebration”). 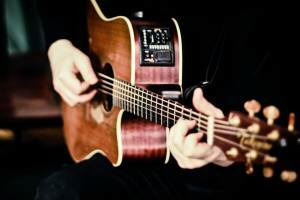 He has also performed as a guitarist for a number of Twin Cities ensembles, including: Cats Laughing (rock/folk), Pirates of Dreamtime (ambient/electronica), and The Dregs (Irish/comedy). 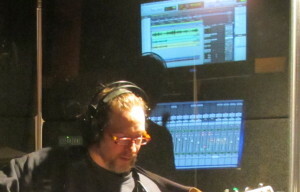 In 2013, Scott was a contributing performer on resophonic slide for Natalie Nowytski’s album “Amerikana”, alongside Jim Parker (Mother Banjo), Adam Kiesling (Pert Near Sandstone) and Peter Ostroushko.